"The musicians recreated the piece's pent-up excitement with verve and enjoyment"
Sunday March 11th, 2012. 2:30 pm. Duo Tapas perform in Te Manawa Art Gallery, Palmerston North as part of their regular Sunday afternoon series. Wednesday April 18th, 2012, 12pm. Duo Tapas perform in Marama Hall, university of Otago, Dunedin as part of their regular lunchtime series. Saturday July 7th, 2102, 7:30pm. Off the Beaten Track. Duo Tapas perform at St Lukes Church in Remuera, Auckland. Some of Duo Tapas’ favourite repertoire! Admission $20/$10. Children free. Sunday July 8th, 2012. Duo Tapas perform at the Depot Artspace in Devonport, in concert with the Devonport chamber orchestra. 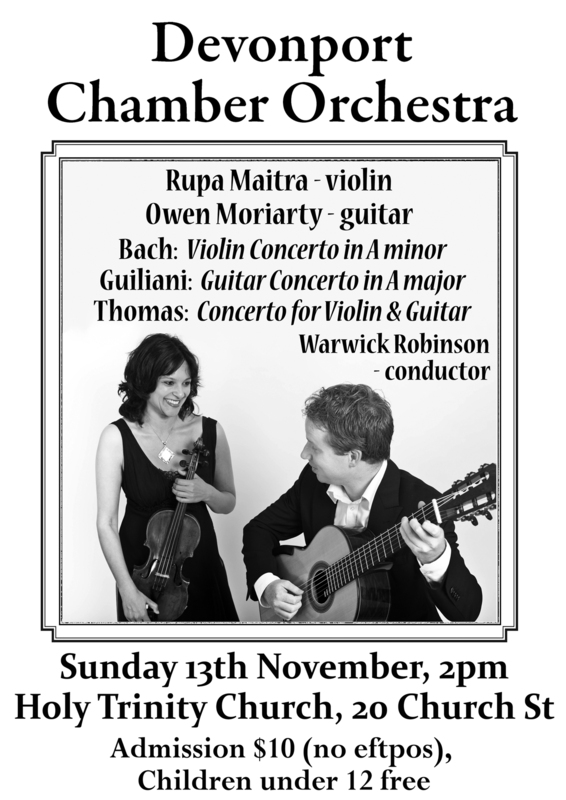 The progamme includes Vivaldi’s Lute concerto and concerto for lute and violin as well as selected duos. Wednesday July 18th, 2012. 12:15. Duo Tapas perform at St Mark’s, lower Hutt as part of their regular lunchtime series. 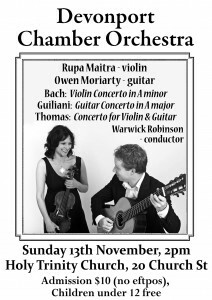 Music by Bartok, Paganini, Vivaldi, Seneca and Imamovic. Sunday July 29th, 2012. Pataka Museum, Porirua. 2pm. July 2013 Arts on Tour NZ. November 27 2013 at 12:15. St Andrews on the terrace, Wellington. Lunchtime concert. Admission free. June 19 12:30 Wesley Church, Taranaki St as part of the Winter at Wesley series. Concert followed by soup and bread. September 2 2014 at 12:15. Old St Pauls. Wellington. Lunchtime concert. September 26 2014 at 12:15 St Andrews on the Terrace, Wellington. Lunchtime Concert. July 29 2015 at 12:15. St Marks Presbytarian Church. Lunchtime concert. July 23 2015 at 12:30 Wesley Church, Taranaki St Wellington. Short concert followed by soup and bread. March 4 2016 Hokitika. Venue: Old Lodge Theatre, 11 Revell St, Hokitika. Time: 7:30pm. Tickets $20 from Hokitika Regent Theatre and at door. March 19. At Cafe, 798 Art Zone, Beijing. March 20. La Plantation, Beijing. Wednesday April 5 2017 at 12:15. St Andrews on The Terrace, Wellington. 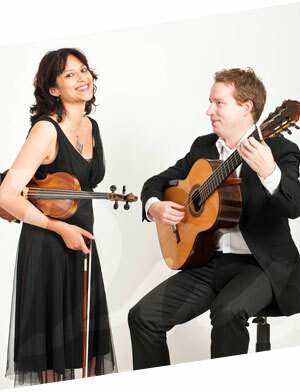 Saturday April 8 at 7:30pm Duo Tapas performs at Hohepa Auditorium, Christchurch.